The newly designed bike is one of the best products by one of a world’s leading bike manufacturer company, ‘BH.’ Highlights include LCD console, improved designing of frame, presence of flywheel of heavyweight, and some other paramount features including the standard period of warranty that might attract customers to buy it. Bladez fitness fusion GS II indoor cycle, the next level of your cardio workout, will make you feel like taking bike training inside the home. The bike will take you with it in another world of fitness where all you can see is your exercise on the cycle. The product was already going on among the top selling indoor cycle, but the upgraded item is now more productive. Frame design, seat, handlebars, paint and graphics are the major parts of the cycle where the company has worked again and upgraded them with some new features to keep you ahead in achieving your fitness and training goal. New LCD Console: A new & motivational LCD console is fitted in the training cycle that displays time, distance, total distance and calories with scan feature and some better viewing angle. Improved Frame: The upgraded cycle has a new and improved frame design which has been developed keeping the user’s easiness and lying up to the customers’ expectations. Handlebar post and stem are also the upgraded one. Updated Paint: A new color is given to the bike which has increased its overall look. Changes are also done in the graphics of the indoor cycle for a neat and tailored look. Heavyweight Flywheel: A heavy flywheel of weight about 40lb will give the rider a very natural feel and uniform momentum during his workout. Also, the flywheel is ultra smooth for your convenience. Brake System: The brake provided with the bike is of club style completely that can adjust over the top and down the resistance. Also, the user will find an emergency brake for his support. Racing Ergonomics: There are racing style type handlebars with adjustments in up and down & fore and aft direction. Comfortable Seat: The seat of the cycle is adjustable in all the directions from up and down to fore and aft and confirms the comfort fit of the user. Sports Pedals: The pedals are of sports quality rather than the usual one with the availability of toe baskets. The pedals of an exercise machine should be good to avoid any slipping risk. Saddle: The sports saddle is designed for the comfort of the person riding the cycle over a long workout. Water Bottle Holder: The holder for the water bottle is given to avoid any hydration. Transportation Wheels: Transport wheels embedded in the bike allows for smooth movements between from room to another. Assembly: Assembling the bike is also very easy without any doubt to minimize the buyer hard work. User-Capacity: The maximum weight which a user can seat with on the cycle is 275 lbs. The problem with the seat: The seat is not sturdy and moves while riding the bike. Also, it is very hard. Noise in the wheel: The wheels given are somewhat noisy in nature. Bladez Fitness Fusion GS Indoor Cycle is an affordable bike with compelling features. Exercising from home is easy now. You can get into shape and maintain your fitness without hitting the gym. Bladez also offers great durability. You can do cardio workouts with ease and the bike is fully adjustable. You can adjust the handlebars and seats for efficient workouts. Bladez is an ideal choice in exercise bikes for the youth because it delivers an excellent performance for cardio workouts. You can reach your fitness goals and aim for further challenges with ease. However, the bike isn’t comfortable for seniors. Customers have rated Bladez fitness fusion GS II indoor cycle with an overall rating of 4.4 out of 5. Everyone who uses this product or is currently under training scheme on this bike, have given very positive reviews speaking about its various impressive features. Some complaints of having issues with the seats but these are very few. Looking in search of an indoor trainer bike which will deliver an excellent workout experience like the outdoor bikes? Well, you can finalize on the Evo Fitness Bike. The different sway frame of the bike is a rare feature in the spin bikes. The frame movies with ease and helps you in working out on your core muscles without losing the balance and gives a close to real bike feeling. The features of the bike give you comfortableness for the workout. The seat is ideal and fits for all body types. First of all, this Evo bike is the best fitness regime and provides facilities which aren’t available in many of the spin bikes. The bike also has a wide variety feature for ensuring the performance of workout is at its best. Additionally, advanced computer screen of Evo helps in tracking the statics of workout, allowing the user for doing the workout more efficiently and motivates them to reach the goal. There are also some unique features of the bike to make the user feel more comfortable. Evo IX Fitness isn’t like the conventional bikes, it has a lot of features which provide the best workout. You can exercise for a long time because it is really comfortable. The Evo Fitness Bike comes with a huge number of benefits and features which cannot be seen in many indoor cycles. It gives a closer to outdoor bikes workout with an equal magnitude. Additionally, the LCD screen helps you in monitoring the statics, and they will help you in knowing your workout progress and pushes you to achieve more fitness goals. The design of bike makes the spinning exercises perform with ease and with comfortable workout positions. Evo Bike is also durable and needs less maintenance. It is an indoor bike which gives a complete value for your money and is the best indoor cycle available in the market right now. It has some amazing features like a racing seat providing you an added comfort for the workout. Also, the handlebars, InfinteFit helps you to get in the most comfortable position for exercising. They can be adjusted to, fro, up, and down. The bike is affordable. Also, the indoor cycle comes under state-of-the-art. InfiniteFit Handlebars: Handlebars featuring InfiniteFit Technology makes it easier for allowing the rider to get a comfortable hand position. Also, there are two large holders for water bottles, can also be used as a platform for placing smartphones. Water helps the rider to stay hydrated throughout the exercise, and they will feel less strained or tired. As a result, they will workout without giving up. Sensational Sway Frame: Frame feature helps in providing an experience to your workouts close to the outdoor bike riding and performs well even under active sessions. Challenging exercises can be done with ease, and you can intensify the workouts without any noise problems or slippage. Advanced LCD: Workout statics monitoring is convenient with the advanced LCD which reads the metrics like distance, heart rate, RPM, calories burnt, and time. Lighting function can also be adjusted. You can track the progress of workouts in both the light and dark environments easily without any problem. Heart rate can be monitored during the exercise. Burnt calories let you know how many calories have been burnt during the exercise. How much time you have been doing the exercise. Easy to figure out. Enclosed Drive System: Flywheel features running on a single axis and a small wheel is entirely enclosed and doesn’t need another flywheel or chain. Also, supports brake mechanism for halting the workout in a matter of seconds. Heavy flywheel avoids making noise during the workouts. You can listen to songs, watch tv, or perform any activity without worrying about sounds. Ergonomic Racing Seat: Quality of the seat is high and its completely durable. Easy to adjust and comfortable too. Fits for all kinds of riders, irrespective of their short or tall height. Seat adjustability provides a maximum comfortable position for users, and they can do the exercise without getting any strains on back or legs. Ideal for all Riders: Bike is perfect for riders of all body types and height. Convenient for the gym and home usage for all riders, you can workout in the comfortable position for getting best of the workout. Suits for all kinds of environment. Best bike for gyms and home since it supports all kinds of riders. Anyone in your family can use it for exercising. Pre-defined Workout Programs: Some pre-defined workout programs are inbuilt for helping the rider to get the best workout experience and reach their fitness goals. There are various kinds of exercise programs like weight loss, heart rate monitoring, body fitness, etc. Weight loss exercise programs guide the user to use the bike for losing weight and burning calories. These programs help in guiding you for doing an efficient workout. Weight: A maximum weight of 350 pounds is managed to accommodate different kinds of riders. Many riders can now start exercising without worrying about the weight limit because it can manage a weight more than many indoor bikes. Pedals and Design: Pedals come with accommodation of gym or cycling shoes, and it doesn’t shake during the workouts. The elegant design avoids slipping. User’s safety is completely under control. Design attracts visually and is impossible to ignore. Also, there are various colors of bikes to choose from. Maintenance: Doesn’t worry you about costs of maintenance because it needs little maintenance only and still provides the better experience than many outdoor bikes. Lock Switch: Pivot Lockable switch feature allows you to fix a frame from swaying. Workout intensity can be increased. Also, a user can achieve many fitness challenges. Price: Completely affordable and supports various features for delivering a real experience closer to outdoor bikes. Warranty: Evo offers a warranty of 10 years on the bike. Warranty is also provided on mechanical, electrical parts, wear items and labor. Holder Size: Holders size isn’t spacious enough to hold few phones which are big, even iPhone 6 cannot be accommodated due to the smaller smartphone area. Smaller width phones can be placed easily without any problem. Upgradation: LCD can be upgraded with the most advanced features. Chest Strap: Doesn’t feature chest strap. Though, not a mandatory. Users would feel more comfortable. Who should ride the EVO IX Fitness Indoor Bike? Well, it is suitable for all age groups but, younger people will be happy with the product since they love real close to ride experiences. Also, it works on all the body parts and isn’t suitable for seniors looking out for a back support bike. Since it provides exercises to the complete body parts because of the swaying frame, it might cause stress for the elderly who prefer slower activity. It suits well for a younger audience who wants to perform cardio workouts simultaneously on many body parts at a go. You can place the water bottle in a holder and phone in another while doing the exercise and make it more fun! Evo Fitness might be the best choice if you are looking for a bike which can make you lose weight easily. You can use it in home or gym because it fits for all body types irrespective of their height and weight. It also supports a maximum weight over 300 lbs, more when compared to many indoor bikes. Also, it will deliver you a closer to road riding experience. The workout will be even more fun and jovial. Additionally, there are two placeholders too. What else do you need? Buy it already and start doing the exercise. You can lose weight and also stay fit in no time. Fitleader FS1 Upright Gym Cycle – It is all about staying fit and working out nowadays. You won’t be seeing anybody who takes fitness for granted. You will notice that everybody’s life revolves around gyms now. But not all the people are very fond of going to gym; maybe they don’t have time for that but till the craze for that toned body and muscles. So, here we are with a new bike called Fitleader FS1 Upright Gym Cycle. This upright bike was able to impress all its customer and never disappointed one till date. Also, this is a very affordable bike. So in this article, we will highlight some of its advantages as well as disadvantages along with the customer reviews. So let’s just jump on the benefits of it. Budget Bike: Although it is a budget bike, still it can lift up to 293 pounds of weight. Comfort: This is an ideal bike for both men and women. You will surely enjoy its ride. Smooth: You will have a very smooth experience with it. Also, this comes with Perimeter Weighted Flywheel which gives a noise-free experience. Display: This comes with LCD which monitors the time, speed, distance, pulse rate, Rpm and calories as it uses hand grip pulse monitor. Adjustability: Anyone ranging from height 5’1 to 6’2 can use this bike by adjusting the padded seat which is also very cozy. Easiness: Even you are allowed to adjust the handlebars. Resistance: This bike comes with eight magnetic resistance levels. Safety: There is an extra dual-action safety brake too. Accessories: This comes with a water bottle holder as well as iPod, iPad holder. Height Factor: This bike is not suitable for all. People you are taller than 6’2 and shorter than 5’1 faces major problems riding it. No tutorials available: This bike comes with no workout tutorial or anything like that. You won’t be getting any sample videos for your workout. Average features: As you know that this is a very affordable bike so expecting anything more than its price will be very foolish. Fitness FS1 Upright Exercise Bike is all about fitness. It gives the best performance and is affordable. You can start exercising right away without going the gym. However, this is not suitable for all age groups especially seniors because they will require a back support. Fitness FS1 gives workout on your core muscles and helps you in staying fit. It is ideal for youth and younger age groups who wants to do high-level fitness exercises by staying in the home. Since the price is also affordable, you can purchase it right away. You can start using and reach your fitness goals easily within no time. All the customers are extremely satisfied with the product, and you will hardly find one disappointed user of it. This is such a fantastic bike which comes at such a low price. You will get almost all the ideal bike’s features this bike which makes it perfect for the usage of it at the gym and home too. You can even enjoy music while working out which is another fantastic feature of it. So, all in all, this is a very fantastic bike in such a small price which has not disappointed even a single person. As you can see that all the customers who have bought this are amazed by it. You will find every feature that an ideal bike should have in this one in such a cheap price. Also, for entertainment purpose, you can listen to songs and put your phones in the iPad holder. Also, this keeps a check on the pulse rate and the calories burn. So, what else can you get at such a price? Look forward to buying this product. NORDICTRACK COMMERCIAL VR25 ELITE – Driving an upright bike sometimes causes back pain and joint stress, but the NordicTrack Commercial VR25 Elite lets you enjoy cycling benefits while also avoiding these problems. The bike is accomplished and can easily hold a 350-pound person while providing a feature wealth of experience. The bike has been upgraded for 2015 and is one of the NordicTrack’s best recumbent bikes for the home. The recumbent bike has a 7’’ touchscreen which is also web-enabled, and you can stream full-color workout videos, while there is an additional slot to fix your tablet. There are other 35 built in app in the bike’s hard drive. All of these programs are designed by a certified personal trainer and contains three modes namely, calorie burn, intensity, and performance. For comfort, it has Cushioned and ventilated seatsIt has 26 resistance levels, web-enabled touchscreen and iFit compatibility. Also, it has transport wheels to port the VR25 from one place to another. NordicTrack’s customer service is often criticized. It has a 25-pound flywheel, which is not so ok with the Commercial bike. It doesn’t give a bigger challenge to the rider and a not so smooth ride. Calling it a commercial bike and just equipping a 25 pounds flywheel. A 25-pound flywheel is too light to be called an industrial equipment. It is below par performance. The recumbent bike has a smart fan which can adjust its speed according to your speed. It keeps you fresh without changing the controls of the motorcycle. Being hydrated is also important while exercising or cycling, and hence this recumbent bike also has a water bottle holder so that you can keep a water bottle always with you while cycling so that you are always hydrated. You can even hold your iPod in it, and it has a 2” speaker holder so that you are always motivated to do more exercises by non-stop listening to your favorite music. All these unique features on this recumbent bike from NordicTrack always helps to maximize the efficiency and fun of indoor cycling. These great experiences are always a part of NordicTrack bikes. For achieving your target heartbeat rate, exercising is a good option. And the NordicTrack VR25 is very effective at this job; you can measure your heart beats by two methods. The grip has a built-in sensor which will measure your heart rate through your pulse rate, and the other is a wireless chest strap. This recumbent exercise bike gives you the option to choose to burn your extra calorie or built up muscles, easily just by applying the brakes to increase or decrease the speed by just one touch of your hand. There are almost 26 different resistance levels to choose from to adjust one according to your need. The most important part of every recumbent bike is its flywheel. The Nordictrack VR25 has 25 lbs, flywheel which is inertia enabled to give you a silky smooth experience forever. This is a massive duty wheel and will last for years without having you to worry about it. In today’s life, exercise is critical. It keeps us fit and healthy. There are many types of exercise, and one of them is cycling. If you don’t have sufficient conditions to go out on your cycle, then you can do this exercise even at your home. You just have to purchase an Exercise Bike. There are many brands, and NordicTrack is one of them. NordicTrack is basically known for their good quality ski machines, and now they have started making Exercise Bikes too. NordicTrack GX 4.7 Recumbent Bike is one of their latest models. It gives you a cushy base, and it is built for riders of all sizes. This lets you step on and get off conveniently and quickly. It has a fan. Also, that keeps you cool all along. This bike is compatible with iFit technology, and it is designed to achieve your fitness goals easily and quickly. It also has Google Maps so that you can create your training course. It automatically adjusts the resistance to match the terrain. NordicTrack GX 4.7 exercise bike also has some apps, designed by a certified trainer, so that you can challenge yourself.This machine is suitable for people of all ages and fitness levels. This machine has 22 magnetic resistance levels, 24 built-in workout apps, heart rate monitor for a hassle free and complete exercise session. It has oversized cushioned seat for providing comfort. Nordictrack GX 4.7 has a 5-inch LCD for better viewing with responsive one-touch control. It shows calories burned, resistance, distance, time, etc. The bike comes with a CoolAire workout fan and water bottle holder for convenient workouts. It also has a built-in sound system and ergonomic foot pedals. For the more efficient workout, it has a 15 lbs inertia enhanced flywheel. It also has transport wheels for better mobility. GX 4.7 can accommodate users up to 300lbs. This recumbent bike has a large 5-inch screen which will display all the performance data and can be controlled through one touch. Also, there are 22 magnetic resistance levels. It also comes with Lifetime Frame Warranty and 1-Year Parts and Labor Warranty. The company brags about the iFit compatibility, but you need to buy iFit module separately to use the facility. DIMENSIONS: – The dimensions of this bike (in inches) are 49.8 (L) *25.4 (W) *56.8 (H). Its weight is 145 pounds when it gets fully assembled. POSITIVES: – This bike has a backrest that provides a lot more comfortable than an upright or spin bike. This bike is suitable for people of all heights due to its capability of sliding forwards and backward to find the best position for the user. You can listen to your favorite music as it also has speakers. Pedals come with adjustable straps. Once you have bought an iFit module, you will be able to travel your favorite routes. NEGATIVES: – The fit facility isn’t free. You have to buy it if you want to do full use of it. It costs $99 at the time of writing and includes a one-year membership. This recumbent bike is not as expensive as some of the other bikes plus it is loaded with features and offers excellent value for money. It will enable you to cycle real routes and will make your workouts a lot more interesting and enjoyable. So if you are looking for a comfortable and pleasurable workout experience at home, this machine is one to consider. Exercise bikes are designed to seek the benefits of old days cycling, to give you the road ride feeling. An exercise bike helps you to do the workout at any time from your place and according to your schedule. There are two types of exercise bikes — An Upright Exercise Bike and Recumbent Bike. However, Recumbent Bike is the most suggested exercise bike for Seniors. Recumbent Bike for Seniors offers a lot more than just a workout. Why do Recumbent Bikes best suits for Seniors? Recumbent Bike is therapeutical, and riding is easier now from home. First of all, an upright exercise bike will often cause a backache, stress on arms and legs because the seating position can be improper and puts pressure on the back after some time of exercising. Recumbent Bike is really good for seniors since they don’t feel too comfortable with the upright seating position of conventional bikes. Hence, for seniors, an exercise bike which will be comfortable for them is necessary to do an efficient workout. Recumbent Bike offers back support and it reliefs the riders from pains. With the reviews, you will be able to choose a user-friendly bike for the seniors. Having a good and soft back support will relieve the pressure on back making it easy. Read through the Best Recumbent Bike for Seniors for reviews for selecting a cordial and comfortable bike. We list you the best models of the recumbent exercise bikes which give you a fabulous workout with complete ease. Also, they offer you best value for your money. Have fun exercising! Diamondback Fitness 510Sr is a modern high-tech machine, and its design is spectacular. It has huge pedals and comes with seat adjustability for comfortableness. The bike comes with a pack of 20 programmed workouts to assist the rider in getting the best of the machine. It offers ECB resistance levels of 16, and it has an inbuilt heart rate monitor. Shedding light on its technology features — it has an LCD for displaying tons of data related to workouts. Also, a cooling fan and magazine rack along with MP3 facility is available. The bike is easily portable, and it all comes at a reasonable price. The 16 ECB resistance levels of the biker provide smoother and frictionless transitions without making the noise almost. A user can perform multiple workouts without any difficulties. It has a pre-defined set of 20 programs. The grip on handlebar monitors the heart rate. An MP3 input source feature for listening to the music with your MP3 player or iPod. Also, the pro features are foldable magazine rack, cooling fan with speed support, a holder for water bottle, transporting wheels. The bike can be ported from one place to another and can manage a maximum weight of 300 lbs. The bike has a large LCD with the blue backlit display for reading the workout data. Also, the riders will have assistance with the help of pre-defined 20+ exercises. Five climb exercises, five interval exercises, two fat burning exercises, four strength exercises, four programs on heart rate and a quick program for start-up. 2 users’ profiles can be registered. The LCD displays the workout data metrics: – resistance, time of the exercise, watts. The handlebar grip calculates the Heart rate of the user from the gripping during the workout, distance covered, calories burned so far, speed maintained during the exercise and the RPM. The handlebars and seat have complete adjustability to match to the comfort of the rider. The seat can be adjusted to front and back, up and down. Furthermore, the handlebars positions allow changes of positions according to the comfort of the user. Diamondback Fitness offers a limited lifetime warranty on the Diamondback Fitness 510Sr parts and frame. The official website reports the limited lifetime as five years. A warranty of three years is provided for the parts and the electronics, a one year warranty is provided for labor, and a guarantee of 90 days is given for the wear items. Exerpeutic 900XL Recumbent Bike makes an excellent choice for the senior, probably due to its amazing features at an affordable cost. Also, it is budget-friendly. The heart rate monitor is calculated using the handgrip technique, and it doesn’t include whistles and bells. The recumbent bike is designed to be user-friendly, it is durable. It isn’t difficult to mount the machine or get off from it. Maximum weight of 300 lbs can be accommodated to support users of different sizes. Furthermore, the bike weighs 63 lbs and it is easily transportable from one place to another. There is leg stabilizers extension to prevent tripping or to shake during vigorous workouts. The seat is padded and oversized, and the pedals are large too. Read on to know the complete details of this Recumbent Bike. Just like the other recumbent bikes, working out is easier, and it reduces the stress on back and knees. The bike is specifically designed for seniors who are active and stay flexible. The seat is extended and made wider to provide a comfortable backrest. A magnetic resistance comes with it for doing intense workouts. It supports a maximum weight of 300lbs, but reports suggest, it can manage up to 325 lbs probably. The leg stabilizers extension prevents the machine from getting unsteady during usage. To prevent feet slippage during pedalling, pedal straps can be fitted to the legs. Backwards pedalling is available too. The flywheel is made precision all for pedalling like a wind. The bike has magnetic tension settings of eight to support resistance from a lower 1 to higher 8. Also, LCD along with console makes it easier for knowing where you have scope to improve and to achieve fitness goals. The metrics will let you see how many minutes you have spent on the exercise, your speed, distance in miles, calories burned so far and the heart rate. You can track the progress by going through the workout data and improve the departments you lack in. The display is easy to read and due to the large screen. The pro features like magnetic resistance and extension of leg stabilizers allow the riders to do intense workouts smoothly without having the problems of slipping or shaking of the machine. The seat has complete adjustability, and it can be adjusted according to the height of the user, taller and the shorter. It can be manageable from 5 feet 2 inches to 6 feet 3 inches. However, the short people, 5 feets high had no problems in working out too. The seat can also be adjusted front and back according to the comfort of the rider. Exerpeutic offers a warranty of three years on the frame and a guarantee of 90 days on the parts. Schwinn 230 Recumbent Bike comes from the leading fitness brand Schwinn Fitness. The bike is designed excellently, costs budget-friendly and is equipped with all the features which help in losing the weight quickly with comfort. The recumbent bike offers a resistance of 20 levels and has 22 pre-defined workout programs too. However, it doesn’t have the Bluetooth feature and also the chest strap for heart rate. Probably, it is one of the few bikes which allow the connecting of mobiles through ‘Schwinn Connect.’ The bike makes it easier to deliver intense workouts in a relaxing position, and it has wider back support too. The seat contoured vented can be adjusted in the fore and aft positions and also, it has a sliding rail for accommodating different positions to support multiple users. The relaxed position of the body will be helpful in achieving the best of workouts benefits without the strain. The console is oversized and readable; it will track the workout data for your programs. The bike has a pre-defined set of 22 programs for both beginners and advanced riders. It supports two user profiles and has two fitness tests too. It offers eddy current resistance levels up to 20. The heavy flywheel gives a smoother and noiseless workout. There are quick keys for resistance which helps in switching from easier to hard levels quickly. The bike offers a DualTrack™ window system which allows monitoring of thirteen different displays feedback. Using Schwinn Connect, we can transfer the workout data with USB; we can also track our progress on the distance, time and calories burned so far. Schwinn Connect is compatible with MyFitnessPal. Furthermore, it has a USB port for charging. Also, it allows the setup of 2 user profiles. The slide system for the seat allows easy levelling; the seat can be adjusted up and down, fore and aft according to the users’ comfort. Schwinn offers a warranty of 10 years on the frame. Also, a one year warranty is provided on the mechanical and electronic parts. Six months guarantee for the wearable items. A Recumbent Bike for seniors allows them to exercise in a comfortable environment and speed, especially beneficial for people who are trying to recover from injury and for obese people since they shouldn’t keep more pressure on knees. I recommend you to go through our list of recommended bikes for achieving your fitness goals and to getting back to shape with ease since the bikes guarantee to help you with fitness. They will offer you the best of workout benefits with less strain and a wider backrest. Select one of the three recumbent bikes and start exercising as soon as possible! Using such a type of bike is for comfortable factors such as, the weight of the rider is distributed over a large surface studio which is supported by buttock and back. But when compared to any traditional upright bicycle, all of the body weight is entirely on a small portion of the sitting bone, hands and feet. Recumbent bikes are also suited because there are more aerodynamically stable than the conventional upright bicycles, because of the laid position of the rider. This reduces the aerodynamic resistance on the bike mostly and thus makes it more stable than other bicycles. And due to this very reason, these recumbent bicycles hold the world record of the fastest bicycle. Recumbent bikes have a lot of advantages over the other types of bicycles. These include, they offer more safety to the rider when there is any accident with the bicycle. Whenever a rider falls from the bicycle, then the height from the ground has a lot of roles to play and with the rider being just a few feet above the ground doesn’t affect him much in an accident. They also have an excellent pressure break and offer a high level of comfort to the bicycle drivers. Most of the bike riders switch to recumbent bikes to alleviate the chronic back or neck pain from riding upright bikes. With these positive features, recumbent bikes are also very cost efficient bike. Let’s get started with recumbent exercise bikes reviews. When you are looking for the most versatile recumbent stationary bike, FitDesk FDX 2.0 Desk Exercise Bike is probably the best option available. This excellent bike offers massage bar armrest, a backrest as the key features. In the semi-pro home recumbent bike section, Diamondback Fitness 510Sr recumbent bike is the winner. This bike is for those who don’t consider money any issue. This product is the best product in the market, and this is also an award winning a bike. Schwinn 270 Recumbent Bike continues to be one of the best products of Schwinn collection of bikes. It has pre-loaded 29 workout programs which include several exercises and fitness tests. What makes Schwinn 270 Recumbent Bike ideal for the household is its multi-user profiles, resistance range, and the adjustability. The flywheel of the bike weighs around 17 pounds which are perfect for working on the lower body. The cost of the bike is inclusive of the electrical adaptor. Schwinn 270 Recumbent bike supports the resistance of 25 levels along with high inertia speed with a heavy flywheel giving you a quiet and smooth workout. It weighs 88 pounds and supports weight up to 300 pounds and enhances the stability using the center point. The chair-like seat used for the bike is comfortable for workouts. Schwinn 270 Recumbent Bike has advanced facilities like dual tracking LCD systems which will be allowing you to monitor 13 different feedbacks. Goal tracking and data exchange through Schwinn Connect help you in reaching the fitness level you are aiming for by keeping you up to date. There are a pre-defined set of 29 programs and multi-user settings which will motivate you and challenge you to workout more efficiently. Schwinn 270 Recumbent Bike has an integrated acoustic sound system for playing MP3s. It also supports advanced features like charging port with USB, three-speed fan, accessory tray, and a holder for a water bottle. Schwinn which promises quality on its products gives Schwinn 270 Recumbent Bike a warranty of ten years for frame, two years on mechanical parts and one year for electronic parts. If you are looking in for a recumbent bike with the very good money-to-but ratio, or the best value recumbent bike, then Schwinn 270 is your chance. This awesome bike is an exquisite bike with best quality features and magnificent material quality with keeping the price in check. It is an excellent innovation by Schwinn. So for every budget buyer who also wants good technical features, this is your buy. If you are looking for a comfortable and dependable recumbent bike at an affordable cost then you have come to the right place, Sole Fitness LCR Light Commercial Recumbent Bike is best suitable for your needs, it’s perfect for commercial usages like in fitness studios, therapy clinics, weight rooms, and apartment complexes. Sole built LCR Light Commercial with an aim to be consistent for many users; it gives support and is comfortable to all age groups irrespective of their weight or height. SF LCR Light Commercial Recumbent Bike is easy for setting up. It has efficient durability and stability. The heavy flywheel weighing 30 pounds offers over 40 resistance levels; it can help you in achieving various fitness challenges. The seat is adjustable and supportive; they can be controlled using handlebars. It runs on self-generating power and reduces your bills. The pedaling feature of Sole Fitness LCR is unique, and the inward two-degree cant helps in preventing the ache in knees and joints. The metrics are displayed on a large screen which helps you to work out more progressively on your goals. The aluminum shroud with steel tubing makes it indestructible. It has a predefined set of six programs along with two customized programs, two programs on heart rate. Sole Fitness LCR Light Commercial Bike has an LCD Console of nine inches and a built-in fan along with heart rate monitoring feature using the chest strap. Also, it has a sound system for playing MP3s and a holder for the water bottle. Sole Fitness gives lifetime warranty for the frame of SF LCR Light Commercial Bike. Three years warranty for the parts. Schwinn has released many models in the same series of Schwinn Airdyne. What makes Schwinn AD6 Airdyne an advantage selection is the belt drive used. Also, it is made more comfortable with the extra-sized padding seat. It weighs 115 pounds and can manage weight up to 300 lbs, all with an extensible warranty. Schwinn AD6 Airdyne is accustomed to Infinite Wind resistance power to give you intense workouts even through challenges, the harder the pedaling becomes, the greater the resistance. It has self-balancing pedals. Schwinn AD6 Airdyne also provides independent and simultaneous exercises on the upper and lower body. It enhances the stability with four levelers. Schwinn AD6 Airdyne runs on dual-staged Torque belt drive improving the natural and smooth experience of pedals. Schwinn AD6 Airdyne has heart rate monitoring facility. Also, all the six metrics are shown using RevMeter RPM; you wouldn’t have to wait for any of your metric. Distance, speed, heart rate, the number of calories burned and RPM is shown on the LCD. It also has the accessories – reading rack and windscreen which are sold separately. The four levers for Schwinn AD6 Airdyne allows you to do a simultaneous workout on your upper and lower body is helping you to work out more efficiently and burn the calories more quickly. The comfortable padding seat can be adjusted according to the rider. Schwinn offers accessories separately to be used, and you can add them to your exercise bike. Schwinn provides 15 years warranty for Schwinn AD6 Airdyne frame, two years for the electronic parts and one year for mechanical parts. 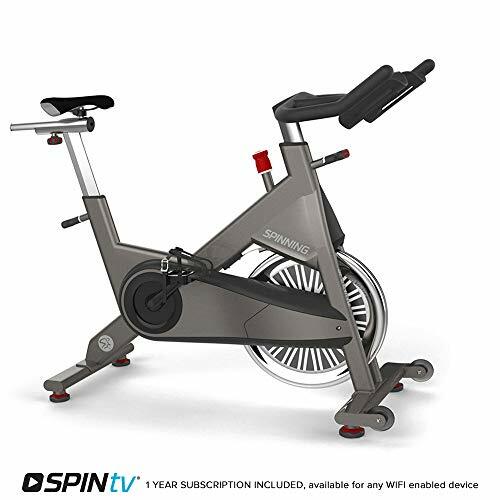 Inspire Fitness came up with an efficient design, an elliptical machine well suited for the plus size riders and elder people with an affordable cost of less than $5000. It (Cs1) can be actually used for therapy studios. It helps you in doing your exercises quickly as well as for the easier back and fro movements of your legs. The height of the seat makes it an easier access for everyone. The seating is comfortable, and it has resistance levels for conquering many fitness challenges. Inspire Cardio Strider (Cs1) can be ideally used for exercises especially for therapy workouts. It reduces knee shear by reciprocating the movement of legs using back and fro movements. Inspire CS1 has an easy console display which can be used for progression. It is smooth and quiet in operation. You can work on the upper and lower body parts simultaneously. Inspire Cardio Strider (Cs1) runs on V Belt Silent Poly Drive system which is smoother and efficient in operation. It has a friction free resistance system. Also, the resistance gets triggered at an ease of 20 watts. The length of stride ranges from 12 to 15. The LCD is visually good and can be used for achieving progression in your workouts. Inspire Fitness offers the warranty of over five years and four years with different pricing techniques. Schwinn 170 Upright Bike is one of the most advanced bikes. It has a 2-LCD window displays which allow the monitoring of 13 different metrics. It helps you on tracking your goals using Schwinn Connect and the exporting of the data in timely periods helps you in keeping fitness goals and achieving them easily. There are 29 pre-set programs along with the support for four users. Goal tracking pushes the user to challenge themselves and motivates them. Schwinn also provides resistance to 25 levels and the inertia along with speed of the heavy flywheel gives smoother and quiet operation. There is also a USB port for charging and exchanging of data. Avari Conversion II Rower/Recumbent Bike will be giving you two different cardio workouts with a single machine. The magnetic resistance of the bike delivers a noiseless and smoother workout at all the resistance levels. The intensity of the workout can be increased and decreased without halting the exercise. The dial knob with a grip edge and eight positions helps in increasing or decreasing the intensity of the exercise. It has an adjustable, moldable and oversized seat giving you comfort. The LCD displays time, calorie count, heart rate, odometer, distance, and speed. The switching of positions from bike to row is easy. The foot straps can be adjusted, and the pedals are oversized. Nautilus R614 Recumbent Bike has a lot of extra features which helps you in connecting to the world and gives you splendid workout experience. It gives you comfort, and you can shed the pounds quickly. You can have an intense workout with this Nautilus bike which offers a resistance up to 20 levels. It has a pre-defined set of 22 programs. The heavy wheel which has high inertia and speed gives a smoother workout. The handlebar gripping monitors the heart rate, and it has console speakers. The extra features include USB functionality, a media shelf, cooling fan. It is portable and mobile. The maximum weight it can support is 300 lbs. Stamina Elite Total Body Recumbent Exercise Bike will help you in having a healthy and fit body. The semi-reclined position of the recumbent bike workout gives the exercise for your thighs, hips, and buttocks too. The handlebars rotation helps in toning the upper body. The pedal movement push-and-pull gives a perfect workout. The magnetic resistance offers a smoother and noiseless operating functionality. It has a belt-driven system and a heavy flywheel. The knob can be adjusted to eight levels for an intense workout without halt. It goes easier on joints offering you a moderate aerobic exercise. The electronic parts operated on battery helps in monitoring the calories burnt, distance, speed, and the pulse. Recumbent Bikes are driven in a laid-back position. It spreads the weight of the rider over a larger area. It gives you an efficient workout, especially for cardio related workouts. They are often used in gyms and fitness zones. You can follow routines of exercises right from home; you will be motivated to strive for your fitness. It is so comfortable; you wouldn’t have problems for working out a long time. Getting a recumbent bike for yourself is much needed if you want to become fit! Hope our recommended list of recumbent bikes will help you in finding the right choice. Hopefully, this guide can help you choose the best recumbent exercise bike for yourself and your home.